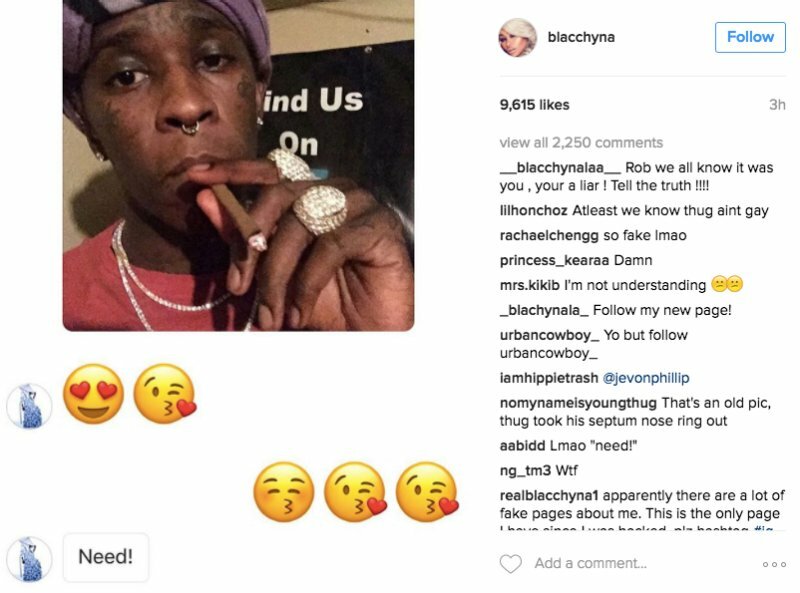 According to screengrabs posted online, Chyna, 28, was allegedly flirting with rapper Young Thug and actor Jaden Smith, and also—if the poster is to be believed—had designs on trademarking her post-Rob name, Angela Renée Kardashian, for supposed financial gain. Chyna was engaged to reality TV star Rob Kardashian (of Keeping Up with the Kardashians’ fame). The two have been dating since January 2016, became engaged on April 5, and welcomed their first child together, daughter Dream Renée Kardashian, on November 10. 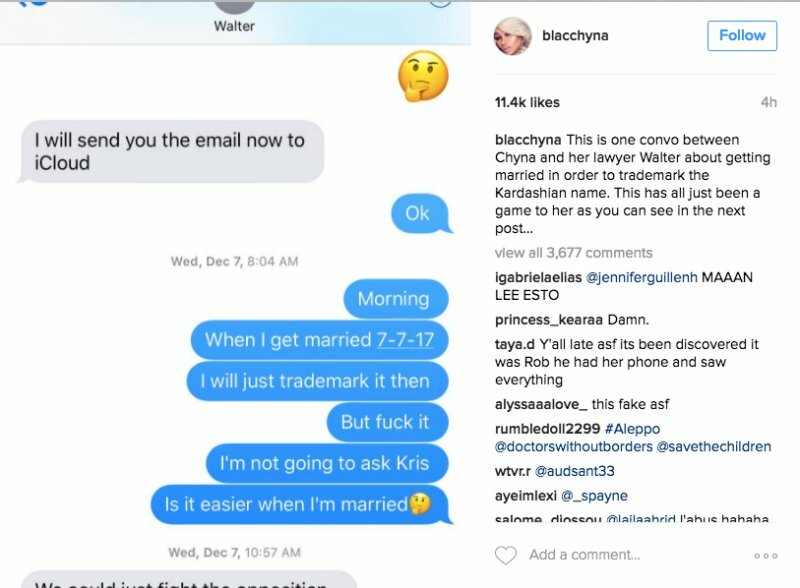 Following the hack, which also alleged that Chyna had designs on dropping her partner after a year, Rob Kardashian made a series of social media posts to his Snapchat and Instagram confirming that Chyna had left him and taken their daughter Dream. 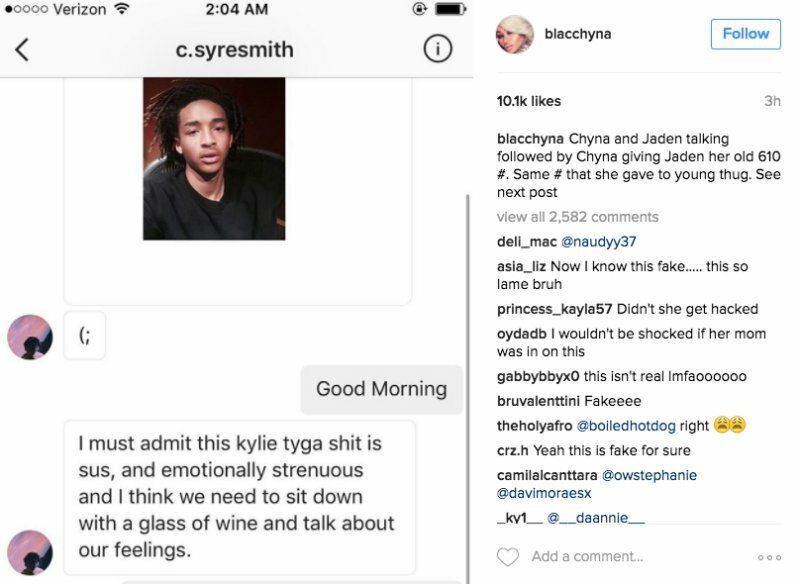 “Sorry to be so open but I’m not feeling so good after seeing @blacchyna messages about me and what her plans were. I have never been this heartbroken in my life. I don’t mind being so open or if anyone thinks I’m being weak but I don’t play when it comes to Family and Chyna was my Family and thought we were getting married. I treated her as a Queen,” wrote Kardashian. 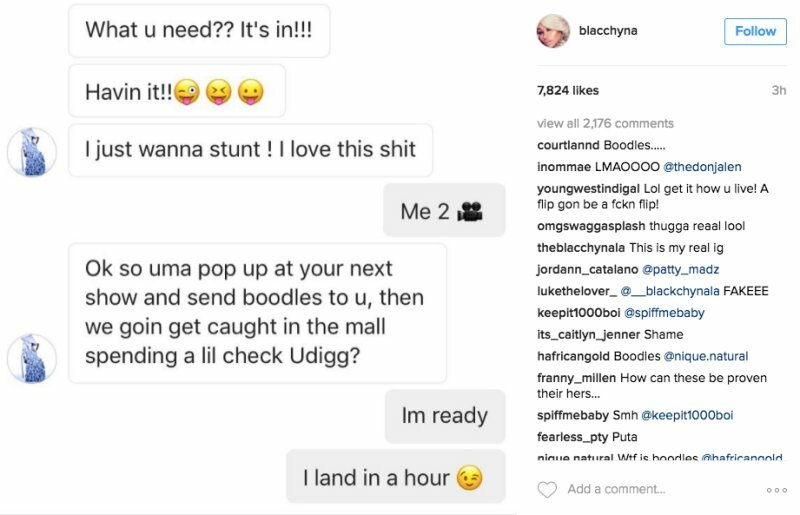 Now, Chyna’s camp hasn’t confirmed the nature of the hack—or her intentions. And the timing is incredibly fishy, given that their E! 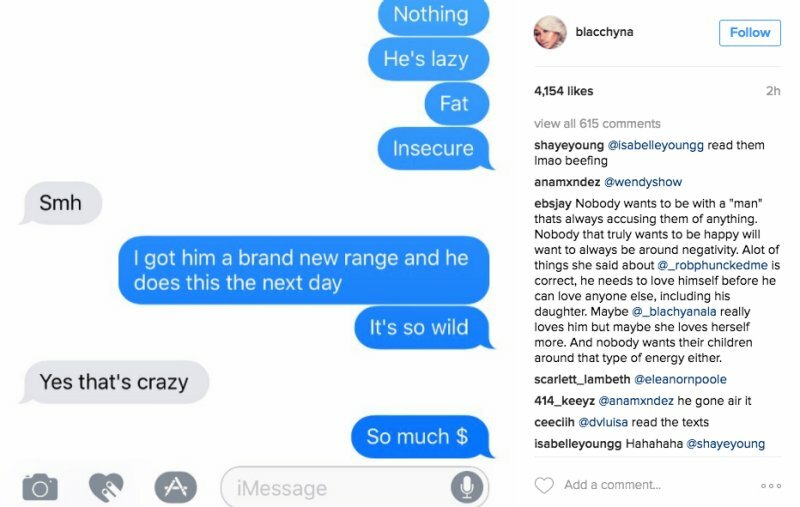 reality TV special, Rob & Chyna Baby Special, airs on Sunday night.